Logo Customize d The same model's quantity more than its MOQ. Quality Ensure High Quality Production by strict condition process. Warranty One year warranty sales-after service without human damage. 6 YRS Shenzhen Keta Technology Co., Ltd. Gift for Independent Day Original Tablet PC 3 Factory Unlocked USA euro Brand tablet 3 Packaging Details: original box and accessories Delivery Detail: 3days Gift for Independent Day Original Brand Tablet PC Mini2 Factory Unlocked USA Brand TABLET 1. Original/Unlocked 2. Low price advantage 3. Fast/Safe shipping 4. Accept sample 5.1year Warranty 6. Grade A quality 7. Best service 8. Full set Remarks: 1) Sample order: 1pcs 2) Warranty: 12 months 3) Payment Methods: T/T, Western Union, Money Gram, 4) Shipping Time: 1-3 working days after receiving payment. 5) Shipping Methods: DHL, , EMS, TNT, Sinapore Air Post. 7) Price terms: FOB Shenzhen GENERAL 2G Network N/A SIM No Announced 2011, March. 2.How long does it take to deliver the sample9 A:It depends on different products,it usually takes 10-15 days. 6.Can we have our own logo printed on the product or package9 A:For sample,it usually be neutral. 7.How much will the customized logo cost9 A:For big order, if your quantity up to our MOQ, it usually be free. Over the years, we have gained good reputation among our customers for our high quality products and service. 6. We promise to give you feedback during 24 hours and find solution the next 48 hours. 1.we promise to use the best (original) components to ensure our product in high level. We do free start logo if u order more 30pcs,please contact us for better shiping, or u can make the order and we can admend the freight before u paying please contact us Related Products android 7.0 2+16GB LCD Writing tablet Q8 7inch tablet pc 4G phablet DC+USB OEM ODM Service credit Shiping Tracking transaction history feedback coupon Quad-core Q8 7inch tablet pc Accessary 1.Gift Box 2.Manual:English Manual 3.Adapter:Input:AC100-240V. 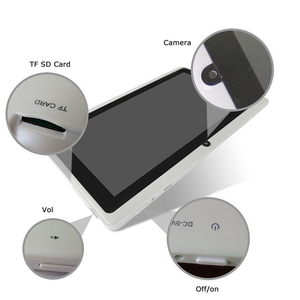 50-60HZ, Output: DC5V 2A 4.USB /OTG Cable:Mini USB Cable Quad-core Q8 7inch tablet pc CPU: Allwinner A33 Cortex-A7 quad core,1.5GHz . 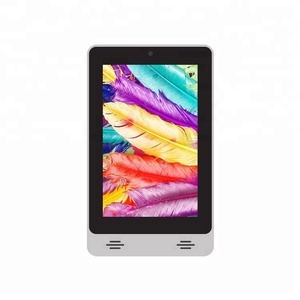 Memory: 512MB RAM, 8GB ROM, orginal DDR3 Display: 1024*600p HD Battery: 2800mAh,big longlife battery, Mini USB 2.0, wifi 802.11b/g, bluetooth, External USB Dongle 3G Camera: 0.3MP front, 2MP back TF card: up to 32GB System: Android4.4. 2 YRS Shenzhen Rongfengyuan Technology Co., Ltd.
Q:What&rsquo;s your payment9 A:We recommend the Trade Assurance, It's very convenient for you. Q:What's your Warranty policy9 A:We provide one year after-service. Due to High cost of express cost, Usually we recommend clients to buy a little spare part with mass production, LCD,Touch panel, Battery. The term "usable space" simply refers to the flat area that you can write or draw on where your creation will be picked up by the Basically a board you connect to your computer and draw on. 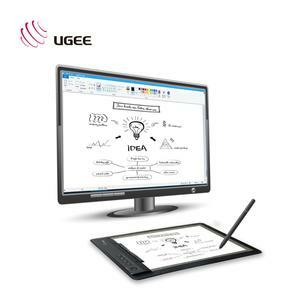 The tablet pen functions as the cursor and the board as the screen, when you move the pen to the corner of the board, the cursor on your screen moves to the corner of said screen, etc. PenCommander Allow you to write down the command symbols directly on the digital pen tablet to manipulate the computer toexecute commands or open files. 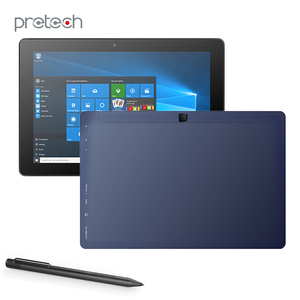 Display 10.1"HD IPS capacitive touch screen (1280*800 pixels, 16:9) CPU RK3066; Daul Core A9 1.5G Operating System Android 4.0 Memory 1GB Storage 8GB FLASH( Support up to 16GB) Interface Hi-speed USB output (for computer connetion and USB devices host connection) Standard mini TF cardreader( support up to 32GB) 3.5mm stereo headphone jack -in jack Wi-fi Support WIFI 802.11 b/ /n Buletouch 3G Support external USB 3G dongle Camera 0.3MP front camera,2MP Real camera. Sound systme built-in speaker Battery 5200mAH Li-Polymer rechargeable battery, 4.5 hours working time -sensor Yes Game 3D game,Android game applications Support video formats AVI,WMV,RM,RMVB, 3GP,MKV,MP4,ASF,VOB,MPG,MOV up to 1080P HD-Definition Support audio formats MP3,WMA,OGG,FLAC,WAV,ACC, Support picture formats JPEG,BMP,GIF,PNG Multi-languages German, French, Spanish, Dutch, Hungarian, Czech, Danish, Norwegian, Swedish, Portuguese, Italian, Finland, Romania, Greece, Russian, Polish, Hebrew, Arabic, Ukrainian, Japanese, Korean Application software Google Search/Browser/Email/Gmail/Video player/ Audio player/Alarm Clock/APK/Calculator/Calendar/File Manager/ Time/Weather Forecast/Youtube etc, and all kinds of Android game software. Unit dimention Unit Weight Unit color Unit housing material Certificaties CE,FCC,RoHS Packing Details: Accessories 10pcs/ctn USB cable/AC adaptor/User manual/OTG cable Color box:22.5*15.2*6CM N.W. Usually lead time should be within three days if your purchase order is not special . Please contact us if there are any problems and we will do my best to fix it out. Refunds will be for the original price paid, and will be issued within 7 business days after receipt of the return. 4 YRS Shenzhen Yu Chuang Xing Ye Technology Co., Ltd.
,LTD is egaged to design, development and producing of Tablet PC, Action Camera, 3D VR and consumer electronics products etc. After yaears of development,our products have been exported to over 50countries & regions,mainly distribute to Europe & America market. OEM & ODM service are welcomed, or pls visit our factory for knowing further information. All the products I offer in my store come with fashion style, superior quality but cheaper price all the time. Terminal system remote upgrade and intelligent DNS analysis will make the operation and maintenance more convenient. We have a professional team which is having considerable experience in colour decoration cases and manufacturing. 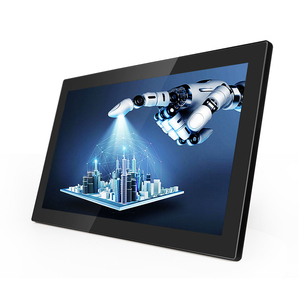 9 Inch Tablet PC Smart Pad with Ethernet Port, Serial Port Key Features Integrated Ethernet RJ45 Port: Standard POE(IEEE 802.3 af), Power and Data over Ethernet, 48V Serial Port RS485 / RS232 / UART TTL WiFi / LAN / 3G Module Front Camera TF Card Slot Thermal Printer In-wall or On-wall Mounted Boot into the Customized Software Automatically on Startup Only run the customer`s software and disable the buttons when customer`s software is running Speakers 2*1w Built-in Microphone*1 Customized Service Customized logo printed on the tablet PC Auto run your software The pad switches on as soon as the power is connected Full screen display the web brower software Outside View RS232 / RS485 Serial Port Demo Application Software ZigBee Module Installation Hang on the wall with VESA mount Embedded in the Wall with Holder Base and Metallic Enclosure Application Home automation, control other devices in home Data collection Payment automation, POS machine, Lottery machine Security system Showing energy data in homes Home/Building/Hotel Automation Integration SIP,VoIP application SPECIFICATIONS Model Number: Q8920 Hardware Specs Solution: Allwinner A20, 1.2GHz, Cortex-A9; GPU: Mali-400 Display: 9 Inch Five Points Multi Touch Capacitive Screen (800x480 pixel,16:9) Switchable Angle: 90 Degrees RAM: DDR3 1GB Nand Flash: 8GB Sound System: 1W * 2 Software Feature System: Google Android 4.2 Video: MOV 1080P, AVI / WMV / RM / RMVB / 3GP / MKV / MP4 / ASF/ VOB Audio: MP3 / WMA / WAV / AAC / FLAC / OGG Application software: Video/Movie/Music/FM online Office Software: WORD,EXCEL,PPT,PDF,TXT,HTML,RTF,FB2,UMD PDF Reader/Photo Browser Language: Support multi-languages Customized soft: Auto Run Customer Application software when it is booted Front Earphone Jack *1 Right Side: TF CARD slot ( Support 1GB-32GB ) Back: Ethernet Interface(RJ45) DC IN Power Terminal (POE Feature does not support DC IN) Power Over Ethernet Optional: Network: WIFI (802.11b/g/n) Internal 3G Modem(WCDMA only) Ethernet RJ45 User Interface: Standard Customized Power: Battery Power Supply (9V ~36V) Power Over Ethernet (IEEE 802.3 af) Accessories: VESA Mounting Kit / Integrated Bracket For Flush Mounting OEM / ODM Service Is Provided! 10 YRS Shenzhen Anson Technology Ltd. Question: Can you put my brand name(logo) on these products9 Answer: Of course, OEM service is the most important part of our trade purpose. Question: What is your product quality9 Answer: Our raw materials are purchased from qualified suppliers. Question: What is your warranty9 Answer: Our warranty is 1 year after delivery, Hipo pays high attention to after-sales service. 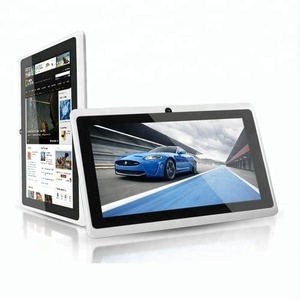 Alibaba.com offers 20,043 smart pads products. About 3% of these are tablet pc, 1% are sanitary napkin, and 1% are elbow & knee pads. A wide variety of smart pads options are available to you, such as red, multi, and pink. You can also choose from free samples, paid samples. There are 20,043 smart pads suppliers, mainly located in Asia. The top supplying country is China (Mainland), which supply 100% of smart pads respectively. 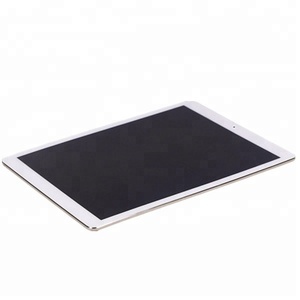 Smart pads products are most popular in North America, Western Europe, and Domestic Market. You can ensure product safety by selecting from certified suppliers, including 3,322 with ISO9001, 1,060 with Other, and 536 with ISO14001 certification.